And that is exactly what TMTG Juniors will be doing this December when they perform ROCK NATIVITY at the Armstrong Hall Complex in Thornbury. TMTG Juniors started in September 2015 and following a very successful inaugural concert, in June of this year, are now venturing into their first full blown musical production which they are very excited about. ROCK NATIVITY is no ordinary musical. In this, the telling of the “Greatest Story Ever Told” the Nativity is accompanied by a contemporary rock pop musical score. From the Annunciation to the Flight to Egypt, there is a wealth of memorable Tony Hatch & Jackie Trent songs to highlight this timeless story, re-told by David Wood. We hope you can join us this December to support these talented youngsters as they perform for you a Christmas show which really celebrates Christmas. 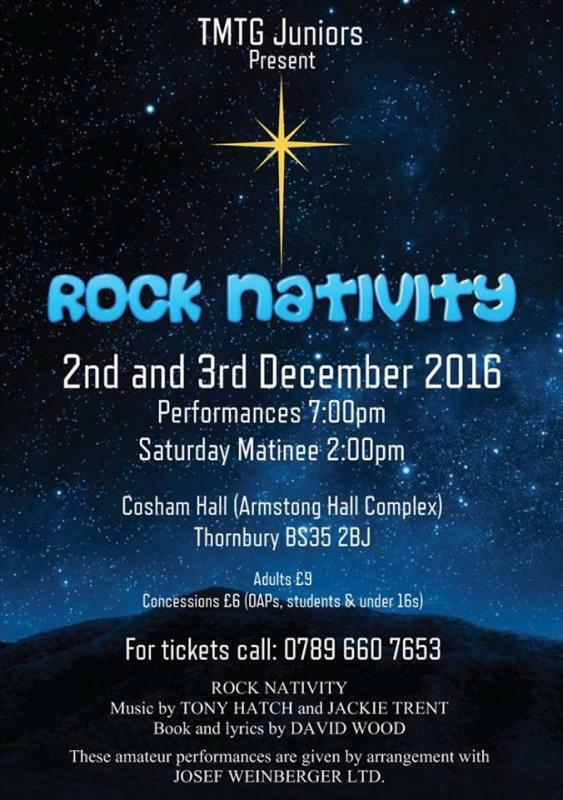 ROCK NATIVITY is a show for all the family to enjoy this Christmas season and we look forward to seeing you there.